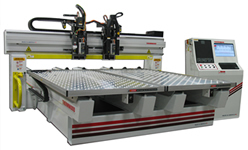 The Multi-Purpose 63 is a large bed three-axis CNC router with a moving bridge and stationary table. 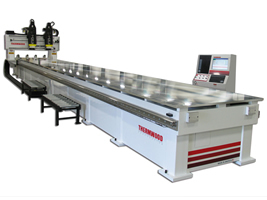 Primarily designed for two dimensional machining of large composite parts, it is also highly recommended for the machining of three dimensional patterns. 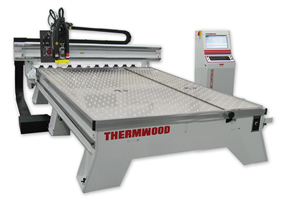 Below is a new video showing a Thermwood Model 63 5'x45' CNC router machining aluminum. 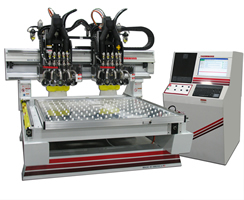 This machine features an optional 10-position rotary automatic tool changer, optional saw aggregate and optional Renishaw probe system. 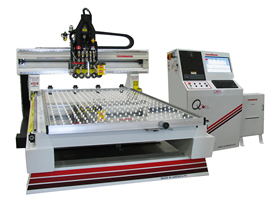 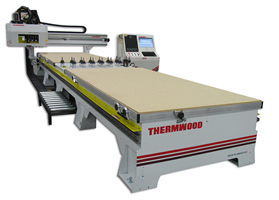 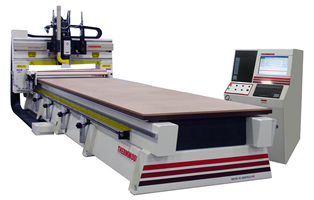 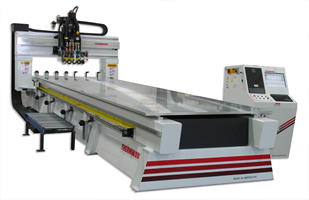 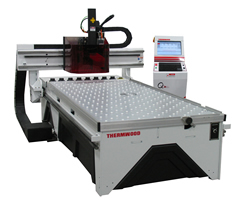 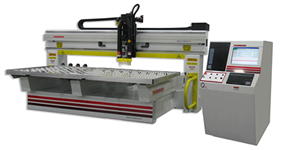 The Thermwood Model 63 is a large bed three-axis CNC router with moving bridge and stationary table. 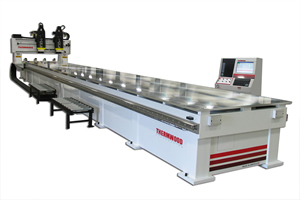 Primarily designed for two dimensional machining of large composite parts, and is also highly recommended for the machining of three dimensional patterns (various table sizes up to 60' are available).